Crime is increasing in Kenya but so are is the laws narrowing down to criminals in tough new moves that are reaping on the baits set. The taxman is currently showing no mercy as two traders have been charged with failing to remit to the Kenya Revenue Authority (KRA) revenue running over Sh 3.2 billion within a span of two years. Mr Dhavai Vinobhai Soni, Mr Bhupathiraju Maheswara Varma and their company Shreeji Enterprises (K) Limited were charged at the Milimani law Courts Nairobi. They denied eight counts of claiming value added tax (VAT), falsifying books of accounts, affecting payment of VAT, making incorrect statements about VAT paid, failing to remit VAT and failing to pay tax. Mr Soni, a director of Shreeji Enterprises and Mr Varma, the financial controller, have denied the eight counts filed against them by the KRA prosecutors. Mr Soni and the company are accused of claiming VAT which they were not entitled to amounting to Sh 454,867,754 from the Commissioner of Domestic Taxes (CDT). Mr Varma has been accused of aiding Shreeji Enterprises Kenya Limited in preparing false books of accounts thereby affecting payment of Sh 1,435,351,386 between January 20, 2016 and December 20, 2017 to CDT. Mr Soni and Shreeji face another count of making an incorrect statement of VAT thereby affecting payment of revenue amounting to Sh 454,867,754 to CDT. Soni is also accused defaulting in tax obligations to remit VAT of Sh 454,867,754 by the due date. Mr Soni and Shreeji are further accused of failing to pay corporation tax amounting to Sh 478,619,659 to CDT between April 1, 2016 and March 2017. The total amounts involved are Sh 3,268,065,307. When the case came up for hearing, a defence lawyer David Oyatta applied to have the matter adjourned to enable him attend to a High Court matter. The prosecution did not oppose the request for adjournment. The court allowed the defence request and adjourned the case to be heard in February 2019. The two accused, who are out on bond, have also been directed to deposit their travel documents in court. The prosecution was directed to furnish the accused with witness statements and any exhibits that will be relied on to prove the case against the accused. President Uhuru Kenyatta has put on notice high net worth individuals who evade tax, directing the Kenya Revenue Authority (KRA) to employ technology to fish out those not paying their dues to the State. Mr Kenyatta ordered the taxman to link its iTax system to the proposed National Integrated Identity Management System that will collect citizen biometric data like ear, eye and voice patterns along with satellite details of their homes. Do you think corruption will save them or pure justice will be served? 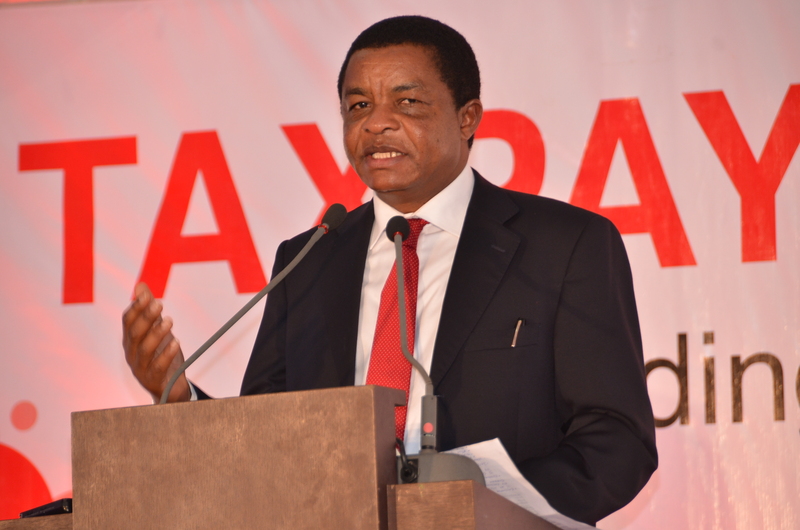 “Magendo kwisha!” KRA launches goods tracking system.